Amazon’s first smartphone is apparently coming out this week, and there’s a fair bit of interest in it, mostly due to the head-tracking functionality. The fact that it’s Amazon’s first foray into the smartphone market is also difficult to ignore. Sure, they’ve made tablets before, but the smartphone market is an almost entirely different ball game. What’s more, it’s going to be the debut of Amazon’s Fire OS on smartphones, which will definitely be of interest to some observers. Kindle Fire users will probably be very familiar with Fire OS, but if you haven’t been paying attention to the Kindle Fire models and are only now beginning to entertain the possibility of purchasing an Amazon device, you’ll probably want to find out a bit more about this whole Fire OS thing and how it differs from regular Android. Recommended Reading: The Amazon Smartphone: Can It Compete? On whether Fire OS is actually Android, to put it simply, it isn’t. While it is built on the Android Open Source Project (AOSP) variant of Android 4.2.2, Amazon have detached Fire OS from the entire Google ecosystem and built a whole new ecosystem of their own on top of the Android base. How is this possible? Without getting too technical, the Android most of us are familiar with can actually be divided into two things: the open source base – the "Android Open Source Project (AOSP)" – and the closed-source Google-branded apps and services. So, what most of us experience when we use an Android device is a combination of an open-source OS with a closed-source Google ecosystem. With Fire OS, while it is based on the Android OS, it replaces the closed-source Google ecosystem with their own closed-source, walled-garden Amazon ecosystem. As you can imagine, Google aren’t particularly keen on opening up the Google services and ecosystem to Android forks. This is where Fire OS diverges from normal Android – since Amazon doesn’t have access to any of the closed-source Google APIs, FIre OS has been cut off from Google services, including, crucially, Google Play Store and even Google Maps. So, basically, you could see Fire OS as being Android without all of the (often Google-branded) bits of Android that people like. And despite having developed their own replacement or equivalent APIs, Amazon’s Fire OS is just not the same as what you can get with Android. One more thing, this state of affairs also dictates where Amazon devices are manufactured. All device manufacturers who manufacture Android Google devices are part of the Open Handset Alliance, where members are contractually barred from manufacturing devices that do not get Google’s seal of approval. In other words, members of the Alliance cannot build devices running Android forks. 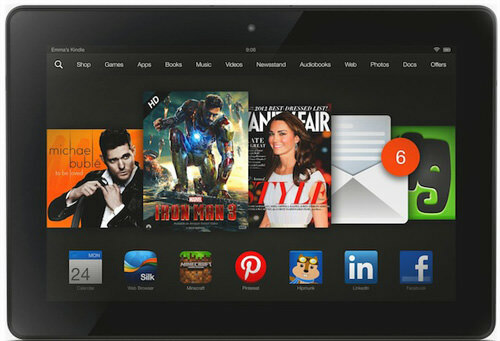 Amazon’s Kindle Fire tablets (and possibly the upcoming smartphone) are manufactured by Quanta Computer. For most manufacturers, being cut off from Google APIs and Google services would be an insurmountable hurdle. But Amazon is unlike most manufacturers. In fact, the limitations of the Fire OS makes it the perfect piece of a large puzzle involving Amazon-related apps and services such as the Amazon Appstore, Amazon Instant Video and the Kindle Store. Fire OS is optimized to facilitate and funnel users towards purchasing and consuming Amazon products and content. Not only does the interface show media content front and center, but the easily accessible menu options let you buy and access apps, games, ebooks, videos and so on, all from Amazon. The interface is straightforward and updates are pushed automatically to all Kindle devices without any fuss. Fragmentation ceases to be an issue with Fire OS. Amazon has also developed its own APIs to replace or replicate some of Google’s closed-source APIs. 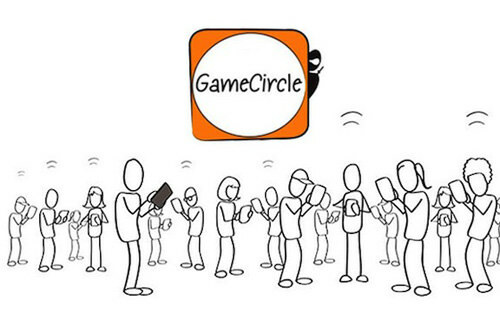 For instance, Fire OS has its own API for push notifications, Amazon Device Messaging, as well as GameCircle, their version of Google’s Play Games API. Despite Amazon having equivalents for most of Google’s APIs, developers still have to face hurdles when porting apps and games over to Fire OS. This definitely plays a hand in making sure that Fire OS’ selection of apps and games just can’t compare to what you get from the Google Play Store. According to App Annie, the Amazon app store only has about 190,000 apps, a tiny fraction of the 1.5 million apps available on the Google Play Store. If you’re a fully paid-up Amazon Prime subscriber, or you source most of your digital content from Amazon, then Fire OS is a pretty nifty OS. The fact that the Amazon smartphone is going to come with Prime Data – where any data used when consuming Amazon media content won’t count towards your monthly data cap – will definitely sweeten up the deal. If you’re not a fan of Amazon though, there’s no way that the Amazon-branded services will make up for not having Google APIs and access to offerings in the Google Play Store. Then again, you can always consider rooting your device. Since Fire OS is essentially an Android-based operating system, it’s entirely possible, if you don’t mind treading into some grey areas, to “open up” Fire OS by installing Google Play Services. You have two options: you can either root your Fire OS device and install Google Play Services that way, or you can sideload Google services and apps onto your Fire OS device. Rooting is the better option if you want full compatibility with the Google ecosystem, but it does come with a downside: it technically voids your warranty. As such, you’ll definitely want to carefully consider whether having complete access to the Google ecosystem is worth the voided warranty. 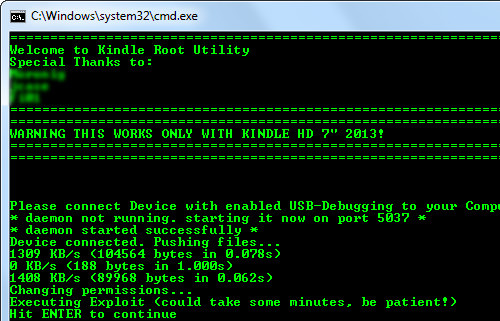 There isn’t any space in this article to go in depth into the nitty gritty of what rooting is and how to do it on your Kindle, but there are a number of guides on the Internet about rooting a Kindle Fire. Rooting will also let you install alternative kernels that can improve performance or battery life, and is part of the process of installing a completely new ROM. Sideloading is a process where you install apps or services by copying them to your device’s on-board storage and then running the installer, as opposed to downloading it from an app store of some kind. Most apps will run fine, but you’ll probably get error messages quite often; they won’t stop you from using the apps, but they can get a bit annoying. Still, it’s a small price to pay if you really need something that isn’t available on the Amazon app store. Why Release A Fire OS Smartphone? Now, let’s take a step back and ask this burning question: Why release a smartphone so late into the market, that runs on Fire OS? Well, having Fire OS on a smartphone establishes a direct, always-present, always-on connection between Amazon and consumers. A smartphone will almost always be more portable than a tablet – it is the ideal companion for those who shop on the go. And if Amazon goes about this right, the new smartphone can make the Amazon ecosystem an even bigger part of their customers’ daily lives via m-commerce and impulse buying. By the way, remember the 3D display technology that is going to be an integral part of the Amazon smartphone? Combined with head tracking capabilities, it may give consumers a much richer purchasing experience – by letting consumers see the physical products from multiple angles – on top of the possibility of multi-perspective media content, a quite exciting prospect. This is all just conjecture at this point, of course, but it looks like Fire OS on the smartphone is going to be less about selling the phone, and more about expanding the reach of their content and media ecosystem directly into users’ pockets. While it is arguably a shame that Google are exercising such tight control over their services and APIs – and over Android in general – it could be argued that this control has benefited Amazon. Amazon has turned the hurdles they have had to deal with into a replacement OS that offers users a unique and easy-to-use online shopping experience geared exclusively towards Amazon products. Granted, the lack of apps may come back to haunt the Amazon smartphone, since users will probably be expecting more out of a device that they’ll be carrying with them 24/7. But its focus on simplicity and easy content consumption plus a low-pricing strategy whch makes for a nice platform for tweaking and modding offers a very different experience compared to stock Android. Whether this is better or worse will depend entirely on what sort of user you are and what you want out of your device.